The Australian Outback is an iconic place. It is the nation’s great outdoors and represents a concept of wilderness that many Australians hold dear, and the Red Centre is at the top of many international tourists’ must-see lists. While it covers more than 70% of the continent, this vast area is home to less than 5% of the population, and the Pew Trust describes it as one of the last extensive natural regions left on Earth. It is a landscape of great contrasts: it can be green, lush and bountiful but also dry, dusty, harsh and inhospitable. Above all, the Outback is defined by water scarcity across all but its most northern areas. 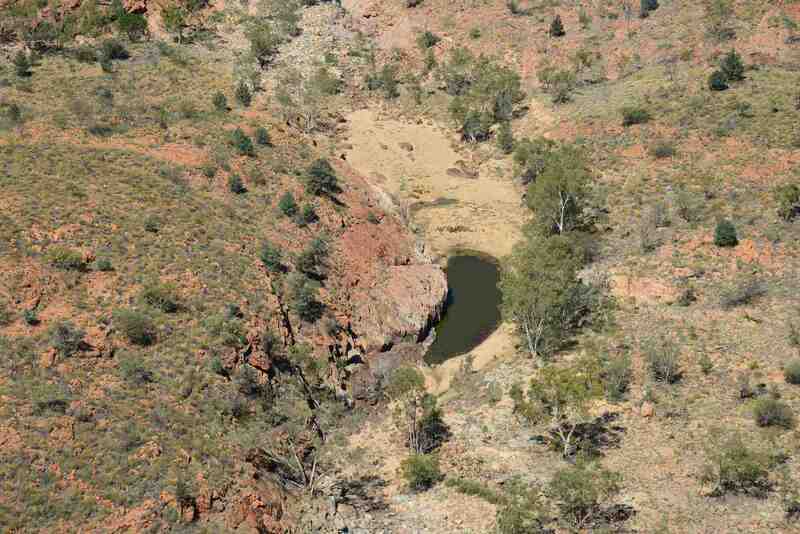 As with most rare commodities, Outback water, especially groundwater, is extremely valuable. It is critical to the persistence of natural ecosystems and sustains human settlements. 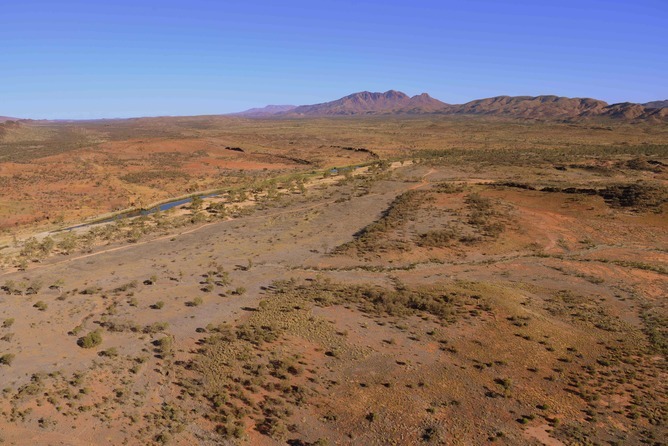 It seems bizarre, then, that there is no unified national plan to manage the water resources of the Outback, and that such a project does not feature in the National Environmental Research Program unveiled earlier this year. If we want to safeguard Outback water from the threat of overuse posed by fracking and other pressures, a proper Outback water security plan is urgently needed. What would the plan look like? Similar to the Murray-Darling Basin Plan, an Outback water plan must be based on a comprehensive understanding of the size, condition and variability of water resources – both surface water and groundwater – and of how they are connected together. It should be a single plan covering Australian rangelands and deserts, and should take account of all the environmental, social, cultural and economic uses that these scarce water resources support. ensuring that Environmental Impact Statements contain the information needed to assess the impacts of proposed developments on important water sites. Relatively dry areas such as the Northern Territory’s Finke River can be transformed by flooding rains. Rainfall is low and unpredictable across inland Australia, but the rain events that do occur are often very large. They create the floods that flow through normally dry river networks to fill large inland lakes and wetlands, such as Kati Thanda (Lake Eyre) in South Australia and the Fortescue Marshes in Western Australia. When the floods come, the newly filled waterbodies become sites of immense but temporary productivity. These large episodic rainfall events, followed by long dry periods, drive the boom-and-bust environments to which many Outback species are well adapted. But it is not just rainstorms and floods that sustain inland ecosystems. Groundwater is the hidden resource that has ensured the persistence of some species over millennia and supported most Outback human endeavours. This underground water, being out of sight and potentially out of mind, is extremely vulnerable to over-extraction and pollution. The recent announcement that the Queensland government will support unconventional gas exploration in the Cooper Basin suggests that we still have a very poor understanding of the importance of water, particularly groundwater, across the region. Fracking (the extraction of unconventional gas) involves removing large volumes of groundwater and the disposal of water with high concentrations of various impurities. Fracking can result in pollution and depletion of groundwater resources far beyond recharge rates. Meanwhile, the progress that has been made in mapping and understanding the extent of groundwater resources across the continent has been greatly reduced by the closure of the National Water Commission and reduction in support for the National Centre for Groundwater Research and Training. Any port in a storm: water resources are vital to life in the dusty Outback. As my previous research has shown, water resources are vital refuges in dry landscapes. Some subterranean aquifers and mound springs supported by the underground waters of the Great Artesian Basin are “evolutionary refugia”, supporting species that have persisted for up to a million years and which live nowhere else on earth. Springs in the Central Ranges support relict populations of aquatic insect species, such as mayflies, caddisflies and waterpennies, that were once more widespread but became isolated as the continent became increasingly dry. Groundwater-fed springs across the Outback are likely to be important refuges in the future because they are mostly decoupled from regional rainfall. However, if springs are polluted or allowed to dry completely, extinctions will occur because the specialised species they support cannot easily disperse to live somewhere else. Much of Australia’s unique wildlife diversity is made up of Outback plants and animals that have taken refuge at these groundwater sites during dry periods, thus allowing them to survive the boom and bust of the continent’s history. Although Australia is globally recognised as a “megadiverse” country, we cannot take this status for granted. We know that multiple and interacting threats are altering the processes that support Outback species. Introduced invasive species and altered fire regimes are already of major concern. If we add activities that change water quality and quantity, such as fracking, to the pressures that already exist, we could be at a tipping point in the decline of biodiversity across inland Australia. The efforts to halt biodiversity decline – including the appointment of a Threatened Species Commissioner and a federally funded threatened species program – will amount to little if we ignore the fundamental issue of maintaining good-quality water resources. Water is a critical resource in the Outback, and we need to know where it is, how much there is, how old it is and what depends on it, before it is allocated or polluted by new developments. The need to provide greater surety of water for extractive industries and intensive food production must be balanced against the environmental and cultural values long associated with perennial springs and rockholes, desert river networks and episodic lakes. Coal seam gas and mining have the ability to change and potentially destroy natural systems, on timescales far beyond our generation. We need a water security plan for the Outback that recognises the fundamental importance of water to everything we value – environmental, social and cultural, as well as economic. Jenny Davis is Research Professor in Wetland Ecology at University of Canberra. The link below is to an article reporting on a suspected asteroid impact site in outback Australia. The link below is to an article reporting on the booming bird population in Outback Australia. The link below is to an article that reports on the resurgence of the Red Kangaroo in the Australian Outback. The link below is to a photo gallery of some great Australian outback scenes in Australia’s desert regions.